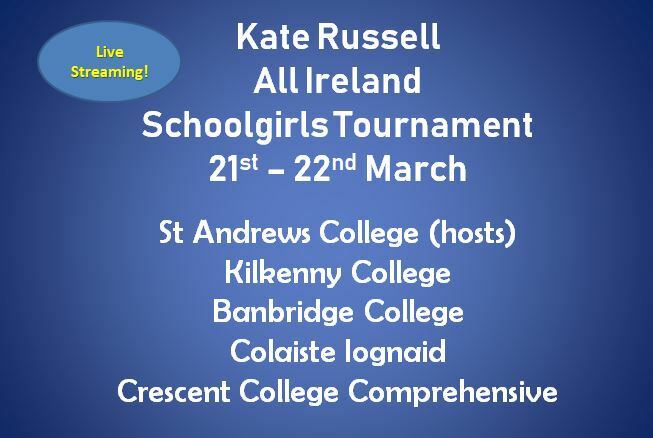 Best of luck to St Andrew's College & Kilkenny College who play in the Kate Russell All Ireland Schoolgirls Tournament being hosted by St Andrew's on 21-22nd March. They will be joined by Crescent College (Munster), Colaiste Iognaid (Connacht) and Banbridge Academy (Ulster). The tournament features the Cup Winners from each of the Schoolgirls regions. Kilkenny College, South East Champions, are the 2018 Champions. Best of luck to St Andrew's College & Kilkenny College who play in the Kate Russell All Irel..
We're counting down to St Patrick's Day and the seven Cup Finals scheduled for Grange Road.T..